Today many companies that have their own business decide to sell their goods or services online. The Idealparik company has been working more than 20 years and recently the owner asked us to create a good website that can help to offer its services to people from the Internet. This website was to contain a catalogue with all goods and an opportunity to order delivery. 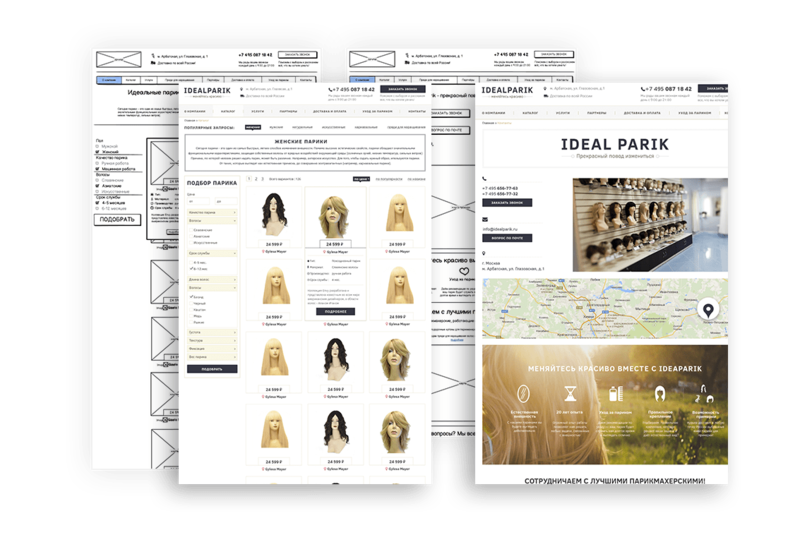 With the help of this new site Idealparik should increase sales and become more popular not only among real shops but among online shops too. While making a new website for this company we used the platform OpenCart. It has many useful functions that are good for an online shop. All our team had been working about two months. We studied competitors’ activity, got information from different blogs and articles, and thus determined some nuances that were very important to people. Thanks to this data we could make attractive and useful descriptions for every product. We used pictures of the company’s goods and rooms in order clients would understand that this online shop is the same as the real shop. Our specialists worked thoroughly for the website design and did it very awesome! We have created an excellent website for the Idealparik company. It helped to attract new customers and increase sales. It got a new base of client from the Internet. Moreover, a flow of customers in a real salon increased by 30%. Thus we achieved the main goal and were happy to help this useful company. They have got new clients and we have got their approval.